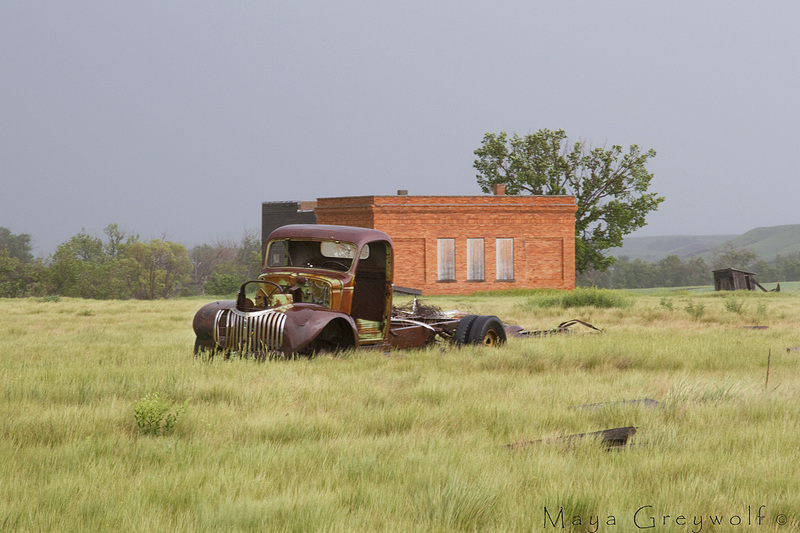 We came across the ghost town of Owanka, South Dakota on a stormy day – how perfect is that???? I will be posting three shots of this series each Sunday. For the town’s history, please read “What Happened to Owanka” by Connie J. Mickelson. I just love your photographs, Maya, and you’re whole outlook on life. Oh, the stories these old buildings and abandoned truck could tell! I would love if some South Dakotans would find this series and have some stories to share. love these. how amazing it is to make a find like this, and then wonder what ever happened to these places and people. Thanks Jann. These gems are definitely one of the great things about living in the Dakotas. Love these photos…what an intriguing place! I am absolutely fascinated by the ghost towns of this area. 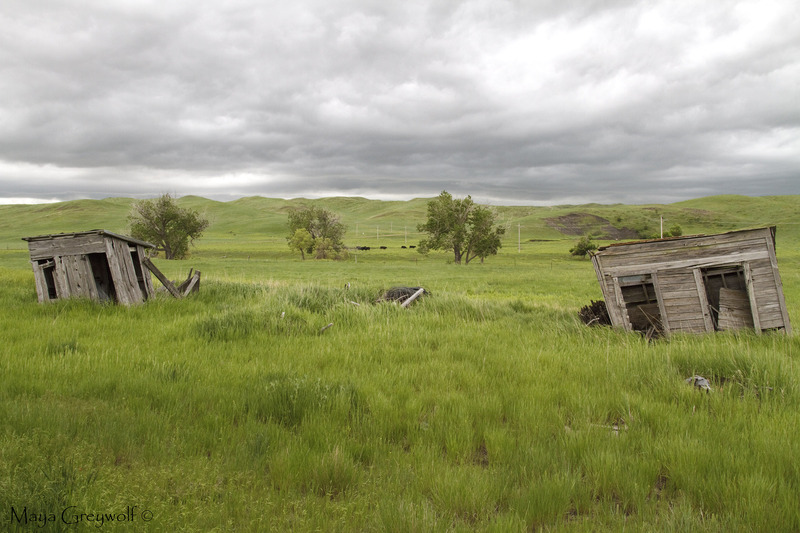 Folks here in the Dakotas have (so far) been respectful enough to leave most things intact; there has been little plundering and even less vandalism. That will of course change over time which is why it seems very important to me to capture them in as much of their glory as possible. love these images – they tell a story! Really interesting reading and gallery. . The Sioux seemed to lose the most and it was theirs. I suspected the railroad stopped coming but did not suspect they were bringing water. Kind of a death sentence in it’s self. No booze, a bank robbery and general apathy. A sad way to dwindle away isn’t it? Your pictures and story are a remembrance of times past, both good and bad! The Sioux, and probably all other indigenous people around the world have always paid the greatest price when others came to settle. It was an absolutely beautiful spot for a camp and yes, a town. It seems a lesson in history that repeats itself over and over that the wants of some trump the well-being of others, or the planet. In this case, it was the mine but we could fill history books, past, present and future where this behavior occurs. An interesting note, while we were there we saw a recent note on the door on a house that wasn’t being lived in but was not completely abandoned. The note was asking for a water delivery. Seems water is still a problem for the one resident who still lives in the area. Yes we all need water. I wonder what it’s like to live in a town all alone? Your words are so true Maya! This has been a very interesting series. Sad yet beautiful in its own way at the same time.